Both major political parties have announced plans for their debates, and some people are going to be unhappy. 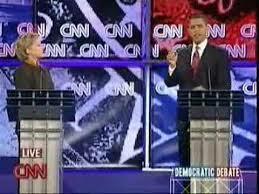 The Democrats will only have six debates, down significantly from 2008. Fewer debates make it more difficult for challengers to upset the presumptive frontrunner. There is also an exclusivity agreement this year preventing other organizations from hosting additional debates, as has occurred in the past. The proposed plans are seen as helping to protect Clinton from competition. There has been no comment yet from Bernie Sanders. Wasserman Schultz and the Democrats should leave that sort of “control freakery” to Priebus and the Republicans. If several candidates decide to debate, particularly in a state that might not otherwise host a session, that’s to the good. If civil-rights or labor groups want to schedule forums and invite candidates, the contenders should not be able to use the excuse that they do not want to violate party rules. The American political process features too few debates. And the ones that do take place are too controlled. The Democratic National Committee ought not be in the business of restricting options for additional debates. It should be encouraging more of them. The big question are whether the format of the debates will protect Clinton from any serious challenge, and whether she will agree to answer questions at all. She has been mocked by the press recently for only taking seven questions since starting her campaign–and has avoided answering almost every one of them. If she had her way, she would probably have staged events with hand-picked “opponents” comparable to her staged events when campaigning in Iowa. So far only Bernie Sanders has officially announced plans to run against Clinton for the Democratic nomination. Martin O’Malley, Lincoln Chafee, and Jim Webb have indicated that they are considering runs. Joe Biden has said he will delay a decision until summer. Elizabeth Warren, who many Democrats are urging to enter the race, says she does not plan to run. The Republicans have a unique problem in organizing their debates. It is estimated that there will be about sixteen or seventeen candidates, making it difficult for individual candidates to receive any meaningful amount of speaking time. It could be difficult to determine which candidates qualify for the debates, or limit the number, as with a field this large many candidates might only poll in single digits. Lacking much time for each candidate to speak. they might have to resort to a show of hands, as has sometimes been done as a part of past debates. They could indicate by raising their hands whether they believe in evolution, climate change, and whether the earth is flat. Posted in Bernie Sanders, Democrats, Hillary Clinton, Joe Biden, Martin O'Malley, Republicans. Tags: Bernie Sanders, Hillary Clinton, Jim Webb, Joe Biden, Lincoln Chafee, Martin O'Malley. RSS feed for comments on this post.. TrackBack URL.